If you are looking for a clinic that offers safe lip plumping or anti-wrinkle treatments in Glasgow or Edinburgh, don’t risk it. Use Save Face to find a safe, experienced practitioner. Currently in the UK, non-surgical interventions like dermal fillers (which are used to improve the appearance of wrinkles and for lip augmentation) are almost entirely unregulated. This means that anyone can set themselves up as a non-surgical cosmetic practitioner with no requirement for knowledge, training or previous experience. When administered poorly, in unsafe clinics, non-surgical interventions can have major, irreversible adverse impacts on health and wellbeing. Despite the known risk that this causes the consumer, the Government have declined to act on the lack of regulations. The NHS Medical Director for England, Sir Bruce Keogh, said in his recent Review of the Regulation of Cosmetic Interventions, that dermal fillers are a particular cause for concern, as legally, no sufficient checks have to be made regarding product quality, and most dermal fillers have no more controls than a bottle of floor cleaner. 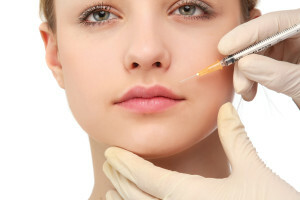 In fact, Sir Bruce Keogh, along with the committee commissioned by the Department of Health to review regulation in the cosmetic interventions sector, believes that dermal fillers are a crisis waiting to happen. The rise in the popularity of non-surgical cosmetic procedures over the past decade, along with the lack of regulation in the industry, has led to an explosion in the number of untrained, unsafe and unethical individuals advertising their services in the hope of making a quick buck. They tempt consumers like you with low prices, time-sensitive deals, two for one offers and sometimes even the ‘convenience’ of providing treatments in your own home. As a result of this, thousands of consumers have found themselves hurt, burned, scarred or worse. By using our multifaceted search engine, you can get in touch with a qualified, experienced practitioner in Edinburgh or Glasgow who has been accredited against our strict set of objective standards. When selecting a Save Face Accredited Practitioner, you can be sure that the person administering your treatment is medically qualified and is registered with a statutory body, has received appropriate training, is insured and works in an appropriate clinic. The products that they use are genuine, are sourced from legitimate suppliers, and are appropriately, stored and maintained. Search below to find a clinic you can trust.